Drs. 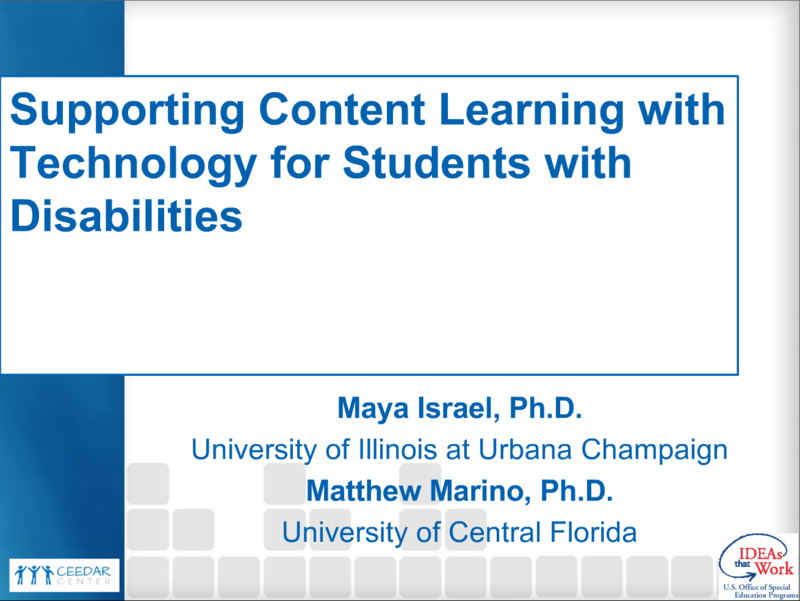 Maya Israel and Matt Marino provided an overview of the Innovation Configuration “Supporting content learning with technology for students with disabilities”. 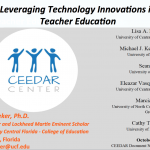 Discussion included the concepts of assistive technology, general and content-specific technologies for use during instruction and assessment, how to align instructional technologies with the UDL framework, and technology considerations during IEP development.